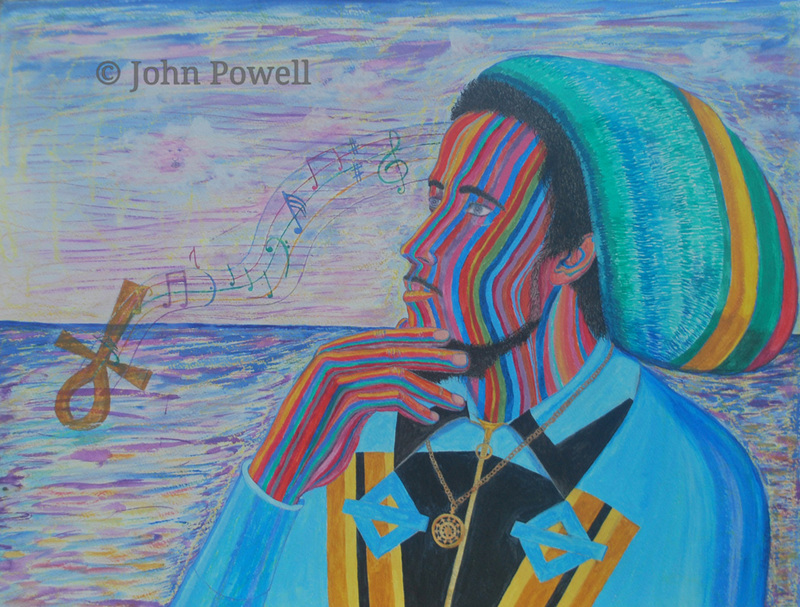 i'm sharing: My painting entitled Bob Marley in Vision. this was inspired by: "Nature and Music," two life forces that are in harmony with each other and give life to both principles. to me, inspiration is: A spiritual "insperience"/internal journey and not experience because experience is from outward.